A recent reread of William Shakespeare’s A Midsummer Night's Dream has prompted me to ponder. I am not going to attempt to encompass the entire play in this post. For my musings today, I will concentrate on just one part of the work that concerns itself with passionate and intense early love instead. For those unfamiliar with the work: the part of the play that I am referring to here centers upon two couples. Hermia and Lysander are in love. However, Hermia is ordered by Duke Theseus to marry another man named Demetrius. Complicating matters is the fact that another character, Helena, is in love with Demetrius, who is uninterested in her. When the four find themselves in a forest at night, they encounter a group of fairies and elves. Oberon is the King of the Fairies, and Titania is his estranged queen. Puck is a mischievous elf who is a servant of Oberon. The king decides to send Puck to play a nasty trick on Titania by administering a love flower to the queen and pointing her in the direction of a buffoon named Bottom. The clownish Bottom is also in the forest that night rehearsing for a play. Adding insult to injury, Bottom is transformed into a man with the head of a jackass. While all of this is going on, Oberon comes across the love-struck Helena for whom he feels sorry. Thus, he sends Puck to apply the love potion to Demetrius in order to enthrall him to Helena. Chaos ensues, as Puck is prone to make mistakes as to who he should be administering the herb to. Throughout the play, characters become obsessively smitten and un-smitten with one another as a result of Puck’s actions. I think that it is important to define exactly what kind of love, if it is love at all, that Shakespeare is dealing with here. There are many kinds of love as well as variations within each kind. What Shakespeare seems to be exploring here is the kind of passionate love that comes on fast and burns intensely. Even this fairly insubstantial form of the emotion is complex and is characterized by nuance and exceptions. It often, but not always, strikes the young. It often burns out fast, but sometimes leads to a more substantial, long term and lifetime version of love. One gradient of the emotion may not really be love at all and would be better characterized as intense infatuation mixed with lust. Shakespeare’s depiction of this type of love seems almost like a mechanical process. The emotion is depicted as if it can actually be turned on and off at the flick of a switch. In the play, Puck flips this switch on and off. When he applies it to the wrong person, it seems to further illustrate the random nature of this intense infatuation. I think that this comedic and dramatic convention can be seen as a reflection of how this emotion really affects people. He seems to be commenting upon something that he himself symbolizes. Later, he rhymes, in a very mischievous way, about the changeability that he finds so easy to invoke. This changeability seems to reflect the real life experiences of people. Shakespeare was not the first to observe through poetry and fiction the seemingly arbitrary nature of intense infatuation. Mythology is full of such musings. There are plenty of examples of stories of gods, goddesses and various magical characters casting love spells that cause their recipients to act in all sorts of irrational ways. One thing that makes this a great play is that in his use of language, Shakespeare explores this issue in a way that is unparalleled. The above passages are only two examples among many. At the play’s conclusion, all seems well. The two young couples are matched and satisfied to be in love and most are wedded to the person that they originally desired. All are back to their original state except Lysander. He is left with Puck’s spell and is now in love and married to Helena, a girl whose affections he originally spurned. Shakespeare does not hint whether the couples will end up happy in the long run or not. The only long-term relationship depicted in the play is that of Oberon and Titania, who seem to be locked in a strange relationship characterized by acrimony and power struggles that alternate with periods of true affection. However the couples end up in the long run, this play is about a lot more then just a fun lark in the forest on a summer night. Indeed, this is perhaps the most enjoyable and fun of Shakespeare’s works. It also has a lot to say about the human condition, and it goes about saying it in a truly sublime way. 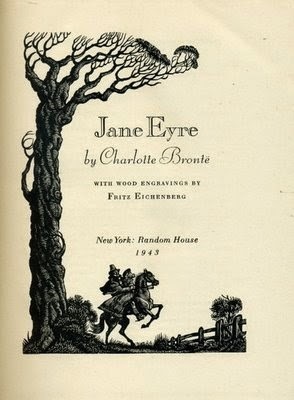 Jane Eyre by Charlotte Bronte - Read Along Wrap Up. Our Jane Eyre read – along has come to end. What an insightful and fun event this was! I feel that, due to the exchange of ideas, I have reached a better understanding of this novel then almost any other piece of fiction that I have read. I want to thank my co – host, Maria of A Night's Dream of Books for all the hard work that she put into the event as well as for some great insights and discussion of this novel. I also want to thank everyone who participated. Jane Eyre by Charlotte Bronte is the story, told in first person, of the title character. This novel is an impressive and important work of art that shines on many levels. The narrative begins in Jane’s childhood. Jane is an orphan who is neglected and abused, first by her pernicious relatives, the Reeds, and later in the oppressive institution /school of Lowood. As she reaches young adulthood, Jane strikes out into the world and comes to be employed as a tutor in Thornfield Hall. Her employer is Edward Rochester. He is a man of strong and dark emotions who sees great depth in Jane and eventually falls in love with her. Jane is also attracted to Rochester’s charms and reciprocates. Unfortunately for the pair, a wedding day revelation reveals that Rochester is already married. He had a wedded the unfaithful and vindictive Bertha Mason on the island of Jamaica. Shortly thereafter, Rochester’s wife descended into a homicidal madness. She is kept and cared for, locked up in Thornfield Hall. Though not able to legally marry, Rochester begs Jane to run off with him to the continent and live as man and wife. Though very much in love with Rochester, Jane is unwilling to take this path. She flees alone into the world. Jane is desperate, penniless and exposed to elements. She nearly dies of exposure. She eventually finds sanctuary and is taken in by young clergyman, St. John Rivers and his two sisters. As time goes by St. John is shown to be a gentle, moral but an extremely puritanical and willful man. He plans to travel to India where he will devote his life to missionary work. He eventually proposes marriage to Jane. Though he does not love her, he admires her strength of character and believes that she will be the perfect missionary wife. Jane also does not love St. John. She realizes that such a life path will be stark, hard and eventually fatal. Thus, she initially refuses the proposal. She is however, increasingly pressured by St. John, whose strong character and sense of purpose is attractive to her. At the moment when she is most tempted to offer herself to him, an extraordinary psychic connection to Rochester manifests itself. Fleeing St. John, Jane sets off to find Rochester. She finds that Bertha Mason is dead. She was killed in a fire that she set herself. The inferno has blinded and lamed Rochester. Jane and Rochester marry and the novel ends on a mostly optimistic note. I can write volumes about this work. Please see some of my detailed comments that I made in the weekly read- along posts. I will only talk about one aspect of Jane’s persona below. Jane’s character is a monumental artistic and aesthetic achievement. Many people who have read this book have expressed enormous admiration for her. I concur that there is much to admire, however I find that her determination sometimes has a high cost to both herself and to Rochester. Adding to Bronte’s wonderful creation is the fact that Jane’s psyche seems to me, to represent a view of the Universe that is thoughtful and sophisticated. Jane is a unique literary creation. There are several key components to her makeup. As the book covers a good stretch of her life, the development of her persona is a wonder to read. First, I think that Jane develops a strong and surprisingly complex worldview or theology. She never actually spells it out, but we observe its development and we are doled out tidbits throughout the course of the narrative. Unsurprisingly, Christianity is the major component of Jane’s belief system. Her thoughts and actions often reflect Christian ideals such as forgiveness, humility as well as the concept of sin. She does often make reference to, and pray to, a masculine God. I think Bronte further establishes a mixed theology within the confines of these pages as Rochester and Jane refer to one another using such pagan imagery as elf, fairy and sprite. I would contend the psychic connection that reveals itself between Jane and Rochester indicates that these mythical elements are indeed in play in the real world. Though never spelled out, Jane’s expression of faith seems to be an odd composite of a belief that is mostly Christian, but that embodies a kind of Feminine nature worship. I am not arguing that if Jane were asked what her views were that she would articulate that she believed in anything other then Christianity. Instead I think that, as I describe above, there is vague unexpressed undercurrent, both within her psyche, as well as within the Universe that governs the book, that there is also something else about. Something older, more feminine and more tied to nature, then the Christian God. Jane has what I would describe as an extremely strict and unwavering moral code that she never wavers from. This is tied to an enormous sense of self worth and dignity that comprises her core. During her childhood she bravely and defiantly takes her abusers to task for their actions and even gets them to occasionally back down. Whatever form Jane’s belief in God takes, it is combined with this strong faith and belief in herself that translates into a monumental Will. This Will, and how it formed is one of the cornerstones of this work. It makes her larger then life and a wondrous literary creation. Jane’s powerful personality and determination is best exhibited when she chooses to leave Rochester. The two are love and came within a hair’s breath of marrying. When it is revealed that Rochester is married, but married in a mostly nominal way, he gives her what seems like a viable alternative to run away with him. Though she is temped to do so, she concludes that this choice violates her own morals and dignity. She makes an alternate choice that causes both Rochester and herself, terrible suffering. This choice seems to really illustrate the incredibly powerful force of will that Jane possesses. I must point out that I am oversimplifying in order to illustrate my point. Jane’s character is so very complicated and nuanced. We see her during a broad swath of her life, which makes her even more multifaceted. For instance, despite her strength of conviction she sometimes allows herself to be temporarily dominated and even consumed by strong personalities. She experiences this at various points with both Rochester and St John. At one point she makes an observation that speaks volumes about this contradiction. Yet in the end, Jane never follows a path set out by another and never compromises. This may sound admirable, but as I pointed out above, the calculus of her choices does not really take in to account her own well being or the harm that she does to others. I am not writing this in judgment, rather in admiration of Bronte’s complex achievement. Finally, as we discussed during the read – along, if one accepts an interpretation that at the ending of the book, Rochester has lost his dark side, a key component of his powerful persona, then one can argue that Jane’s will has overpowered the one personality that seemed a match for her. There is a lot more going on in this book. I have only commented here about one of its many interesting points. Many aspects I have barley mentioned. Even Jane’s personality has many more angles that I have not touched upon. The writing style is brilliant in a highly stylized gothic sort of way. Rochester’s character would lend itself to volumes of analysis in itself. The book has a strong but complex feminist message. For the brilliant literary creation that is Jane Eyre the character, and also for the additional above reasons, Jane Eyre the book, is a brilliant literary achievement. Jane Eyre Read Along Chapters 34 – 38. This week we are discussing Chapters 34 – 38. These are the closing chapters of the novel. Our questions are below. As always feel free to answer as many or as few as you would like. The marriage that St. John Rivers proposes to Jane would be unconventional from an emotional point of view. What do you think about this hypothetical match? Marrying St. John Rivers would have been poison to Jane’s psyche. Much of Jane’s life has centered around the search for human connection and love. Though there is a friendship, as well as mutual admiration between herself and St. John Rivers, the lack of both passion as well as genuine love would have effectively represented the end of Jane’s emotional life. This would have been exacerbated by the fact that that St. John’s unceasing dedication to his mission would have overwhelmed so much else about Jane. In what ways are St. John Rivers and Rochester alike? Though different in very fundamental and basic ways, there are some interesting similarities between the two. Both men have immensely strong and charismatic personalities. They naturally influence those who are around them. Along with this tendency, is an almost obsessive single mindedness and an enormous drive to get their own way. Of course, they both, in very different ways, are attracted to Jane. Is it surprising that someone with the strength of character that Jane posses would be so influenced by St. John Rivers as to almost accede to his marriage proposal? This gets at, what I think is an interesting contradiction in Jane. As I have written elsewhere, our heroine has an enormously powerful will. Yet at times, she seems to be willing to be led by others. Of course the temptation to give in to St. John Rivers is understandable in some ways. As I noted above, St. John Rivers has a very powerful personality. Jane is a person with a very coherent and strong moral framework. Thus, St. John Rivers’s moral zeal is extremely attractive to he. In fact, had she accepted his proposal, she may have lost herself in it. Of course in the end, Jane rejects the proposal and ultimately it is her will that wins out. What do you think of the seemingly psychic connection that manifests itself between Jane and Rochester at a critical moment in the plot? I liked this plot device. It is clear that there is a real connection as Rochester “called” to Jane from afar and Jane “heard” the call. This indicates that there is an extremely strong connection between the two. I think that it ties into my theory that the relationship between Jane and Rochester seems to be connected with something very basic and important in the Universe. One can say that this development is proof that the two “were meant to be.” One can likewise argue that some external force is helping this along. Perhaps it is a Christian God. However, for me this smacks a little more of the non – Christian, supernatural forces that I think Bronte is dropping hints about, throughout the novel. What do you think would have resulted if, upon her return to Rochetser, Jane had found Rochester’s first wife, Bertha, to be still alive? This really gets to the core of who Jane is. There seem to be two basic possibilities. First, Jane could have given in to Rochester’s original plan and taken the role of his wife, despite legalities and her moral objections. This outcome would seem to negate some of what is built up around Jane’s personality as well as some of the moral themes of the book. The second possibility would that Jane accepts the fact that she must be around Rochester and that she cannot marry anyone else, while at the same time refusing to marry, or become Rochester’s mistress. This option seems somewhat impractical and would present all sorts of difficulties for Jane. Though hard to decide between the two alternatives, I think that in keeping with what we know about Jane, as well the basic themes of the novel, as difficult as it would have been, Jane would have chosen the second path and stayed true to her beliefs. By the end of the novel, how has Rochester changed? I read the last chapter twice in order to answer this question. This is more difficult to answer then I presupposed. Physically Rochester is diminished and very dependent upon Jane. I was initially tempted to say that his character was also diminished. Perhaps a combination of his physical weakness, as well as his domestic bliss, had caused him to lose his dark edge, which, after all, comprised much of his life force. However, I find that I cannot really reach these conclusions. Bronte really does not tell us enough about Rochester’s personality and character after his marriage. Perhaps the omission is in of itself evidence that Rochester is not, psychologically, the man that he used be. Or perhaps Bronte just left this out and this is a very rare flaw in this novel. I really cannot be sure. The one conclusion that I can draw is that Rochester has reached a degree of happiness and fulfillment that has eluded him previously. How satisfied are you with the ending of this novel? I am very satisfied on multiple levels. From an aesthetic point if view, the novel ends fabulously. The characters of Jane and Rochester are so well fleshed out and complete, at least at the time of their marriage. Thematically there may be some ambiguity. Can we consider Jane’s life to be triumph of individuality and will, or did she surrender her values in returning to Rochester? I tend to believe in the iron willed Jane, but one can argue either way. This uncertainly actually adds to the aesthetic satisfaction for me. Pat answers are often a flaw in a book such as this. In addition, by the end of the novel, so many important elements have come together, morality, love, the connection between the two main characters, to name just a few. From a purely gratuitous standpoint the work is also immensely satisfying. I confess to wanting to see Jane and Rochester together in the end. I am not usually overly romantic but this book really had me hoping that the two would end up married. I did not want to see Jane marry St. John. As someone who is at time critical of overly happy endings, I am glad that this book had one. We have completed the novel! Next week we will be posting our wrap up thoughts.